First up -- I'm blogging for Forbes! Ever wished that there were more PbO posts to read on a regular basis? Well, you're in luck because I'm now writing a blog for Forbes on archaeology and anthropology, with 5 or more posts coming out per month. What does this mean for PbO? 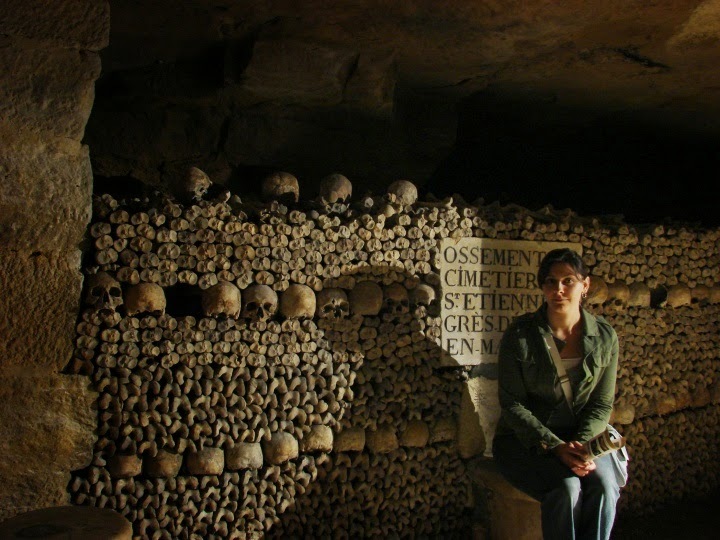 Well, I still plan to put serial posts here, like Bones reviews, the Roman Bioarchaeology Carnival, and Who needs an osteologist? The Forbes platform, though, will let me expand considerably on those RBC items, on archaeological topics in the news, and other things I find interesting. I also plan to use PbO to continue to write about my teaching successes (and perhaps even failures) and other academic stuff. I'll certainly post links to the Forbes stuff here, though. The take-away for readers: Please come visit me at Forbes, and not just because I get a monetary cut of the traffic generated by the posts (woo! ), but because you all consistently have awesome comments and someone will need to help me fend off the inevitable trolls! The take-away for fellow researchers: Do you have interesting research I can highlight? Please get in touch -- send an article, a figure, a photo, and a blurb about why your stuff is awesome. I'll be blogging about archaeology, bioarch, and classics, so if your work fits into those categories, do let me know! And second -- I'm writing a pop-sci book on Roman bioarchaeology! Ever wished that you could read slightly longer PbO posts on dead trees rather than online? Well, you're in luck, because I have a contract with Johns Hopkins University Press to write a book that is a series of case studies about what skeletons can tell us about the ancient Romans. The title is tentatively These Old Roman Bones - What Bioarchaeology Tells Us about Life in the Roman Empire. What does this mean for PbO? Well, as above, the old favorites will still be posted here. Short, timely news items will be posted at Forbes. Anything that doesn't fit into Forbes or the book will go here. Basically, tangential but cool things I learn as I do research for the book will almost certainly become blog posts. I've been blogging for the public about bioarchaeology and the ancient Romans since 2011, and I'm thrilled that I get to expand my audience through the forthcoming book and through the Forbes blog. This sort of pop-sci writing is the kind I've always wanted to do, and now I will actually get paid to do it! All you readers have been instrumental in the success of my blogging, and I appreciate immensely that your support and readership has gotten me to this amazing place. I now invite you to come along with me for this new chapter in bioarchaeological outreach! Congratulations Kristina! What exciting news. Is the book only going to be published as a physical volume, or will there be an e-book edition as well? Thanks, all! As I only have an outline for the book at this point, I don't know the publisher's full plans. I'm sure it'll be a printed volume, but my contract includes a clause for epubs, so it's something I can bring up a bit later if people are interested in that! I'm sooooooo glad for you. I'll keep following your posts with increased interest, good job! Congrats! will definitely keep a lookout for your book, hopefully there's a ebook edition. Wow, this is great news Kristina! I look forward to your new book.